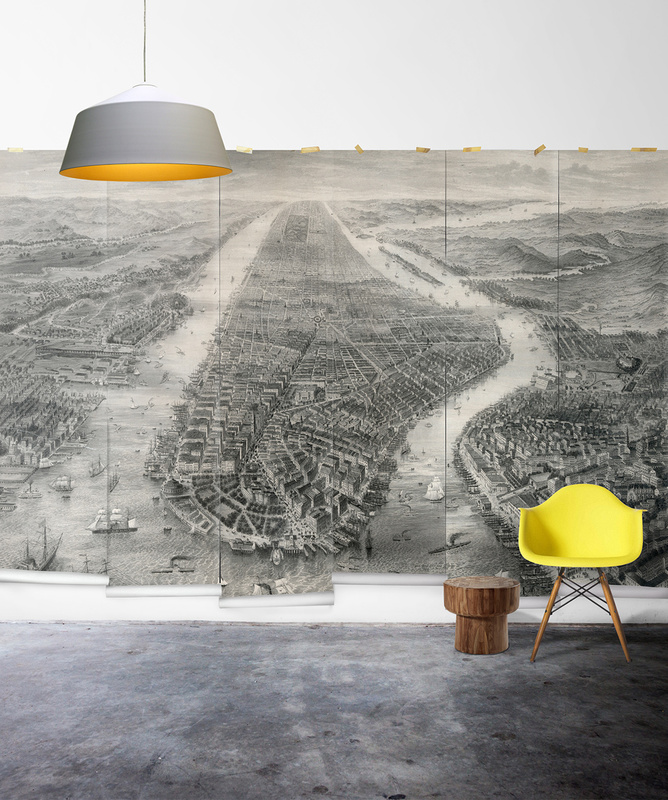 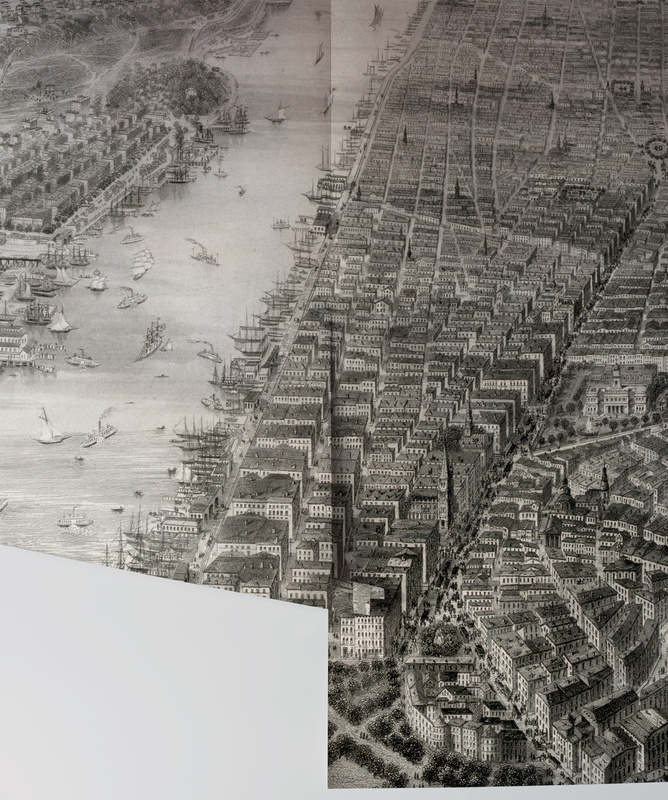 This vintage mural is a very early rendering of Manhattan Island. 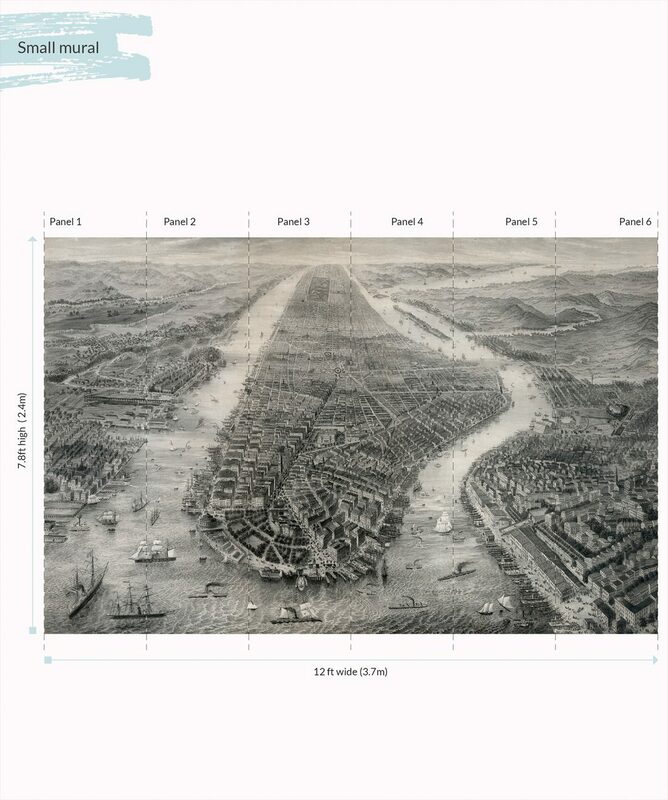 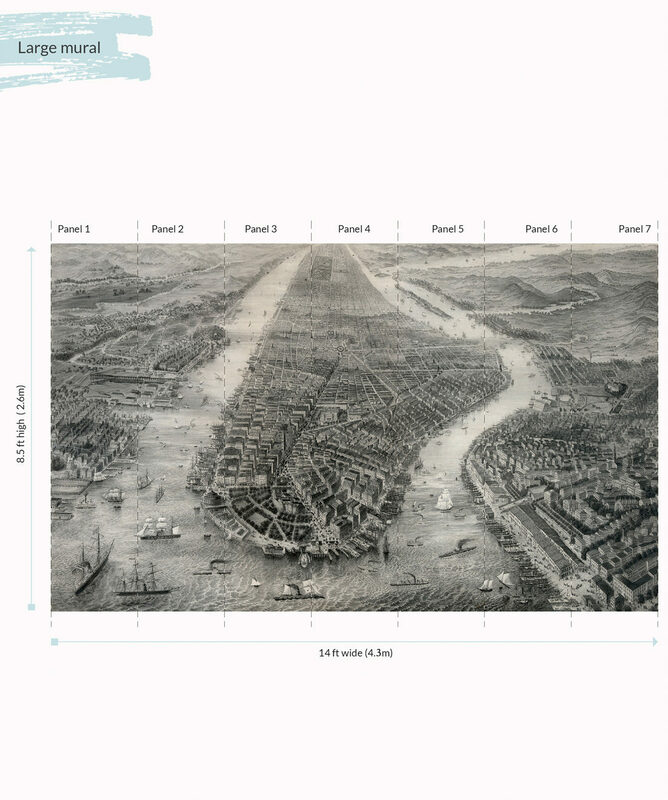 Note that there are no bridges to the other Boroughs of the city. A beautiful hand drawn piece made into a New York wall mural, paints an accurate picture of how the city was in the not so distant past.